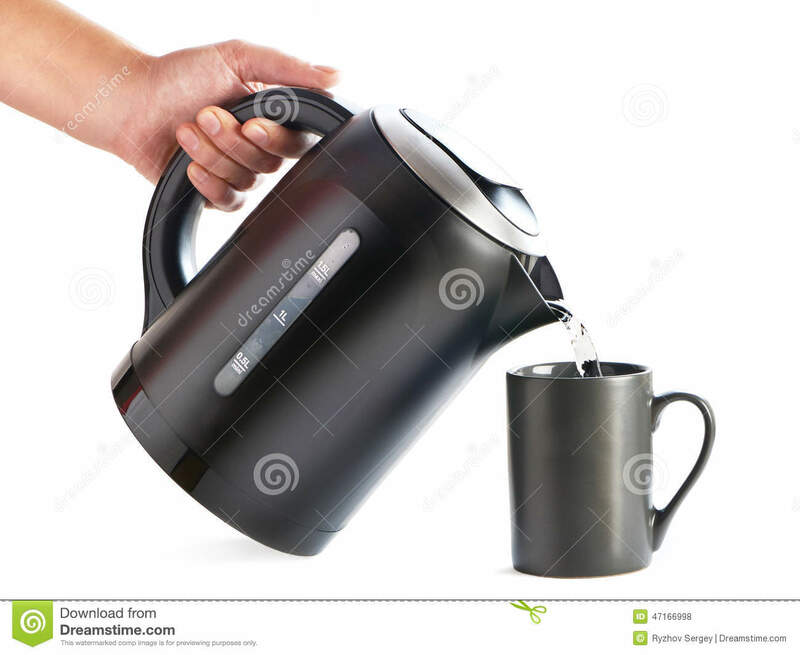 Will putting your tea back into the kettle make the kettle hotter than when it poured your tea? That is exactly what they’re claiming when they say that “backradiation” from the atmosphere can heat the warmer surface, the warmer surface from where the thermal energy came from in the first place. It is exactly the same thing. You can’t put the water back and expect it to make the kettle hotter, and you can’t send the radiation back from where it came to make that place hotter either. Both concepts are obvious, gross, flagrant, childish, and idiotic claims violating the most basic thermodynamics, and childhood empirical exploration. Why doesn’t “back-tea” heat the kettle further? It emits radiation too after all, from the thermal energy it originally got from the kettle! Gallery | This entry was posted in Fraud of the Greenhouse Effect and tagged back-tea, backtea. Bookmark the permalink. Excellent analogy. Some of the lukewarmers are a little more subtle. They say the back radiation makes it cool more slowly, so the average over time is greater. Your response Joe? That’s a retreat. A fatal retreat betraying what they said initially. It’s not about higher average over time…that’s not the ghe at all. Little sneaky bastards. Like when you pour coffee in to a Thermos (an insulator) which you then seal, at no point does the coffee become hotter than when it entered the insulator. Only cretins, or crooks, believe in the atmospheric radiative greenhouse effect, or that cooler heats hotter in nature. I agree totally – the “back radiation makes it cool more slowly” is NOT what they have been saying AND teaching in Universities as the “back radiative greenhouse effect” for decades. Just to add- i was mocked on Roy Spencer’s site for this analogy, even though Roy used a pot with a lid on a stove. He seems unable to understand where the source of energy is coming from . A few more comments from me and he banned me. He commented that i had not answered his question, in fact i had and added to it in other ways. have to add that Roy answered no on the question above so he is all over the show in his thinking. … and cooling more slowly is still cooling. Not as cool as it might have been, not as hot as it was. And certainly NOT the claimed “greenhouse effect” of “backradiation” which, historically, talked of “tipping points” and “runaway greenhouse” effects. Hmmm. Runaway greenhouse… what is that? Runaway slower cooling? Seems the only “tipping point” is tipping the cup contents back into the kettle. If there were a magical heat-magnifying capacity of atmospheric CO2, it wouldn’t have suddenly started with fossil fuel burning by humans. It requires a special brand of scientific self-delusion to believe an extremely small increment of a trace “greenhouse” gas with little potential to further warm the atmosphere will somehow create a discernible change in global climate. Over the past 600 million years since complex life evolved, there has never been a global climate change traceable to having occurred as a consequence of changes in atmospheric CO2. Plenty of examples exist where atmospheric CO2 is either negatively correlated or identified as a consequence of temperature changes. Al Gore stands before a 650,000-year chart of atmospheric CO2 vs. Temperature, points out the similar patterns and snorts derisively that CO2 couldn’t be linked to changes in temperature, mocking climate realists who challenge the greenhouse climate change theory. And all the time he knew that temperatures were changing prior to CO2 changes. The CO2 change as a consequence of temperature change is obvious when one considers the importance of oceans covering 70% of the planet. Yet nobody ever asked Gore the question, if your claim of dramatic CO2 changes creating dramatic temperature changes is true, what is it that is causing the CO2 to change so dramatically in the first place? And with such a regular pattern (during ice age/interglacial cycles)? >>>And certainly NOT the claimed “greenhouse effect” of “backradiation” which, historically, talked of “tipping points” and “runaway greenhouse” effects. Great stuff guys: runaway slowed cooling…lol. Heller will argue with you until he bans your comments, insisting that the so-called “radiative greenhouse effect” is fact. And then he will create a post on another subject, that will include directly opposing evidence. I have been watching him do this for years. I have had knockdown/dragout fights with him on this subject, just to later read one of his posts that completely refutes his own arguments. Quite entertaining actually. Tony Heller needs to just stick with what he does best (and does extremely well), exposing the data manipulations going on at NASA/NOAA and other organizations. He is perhaps the most gifted climate historian on the planet. Physicist he is not, but climate historian, he is extraordinary! I think some of the usual suspects in the lukewarm camp do know that the slayers are right about the physics. The problem is that the slayers have been doing science and the lukewarmers have been doing PR and politics. We need a little of both to stop the idiotic alarmists. It is almost as if some of the lukewarmers don’t ever want the controversy to go away. They don’t want to lose their importance in the great fight. But some of the lukewarm team do seem to me to be honest but just deluded on the CO2 causes warming thing. They think they see 33 degrees of warming needed to explain earth’s temperature and hence that proves CO2 does effect the average planetary temperature to a large amount. We need to knock that idea down hard. Well, anyway, it is a shame that anyone who is against the lying alarmists still thinks CO2 does much of anything. Damn shame. 2 radiators in a room. One connected to steam pipe(solar input) – the other just sitting in the room without a connection to steam. The second radiator will be warmed by the first. It will also convect and radiate IR but it will not warm the first radiator. It will increase the heat capacity of the room and cause the room to cool more slowly when the steam is turned off. One word creates ‘the greenhouse effect”, am i right ?. The word is ”extra” they slip it in to create new energy out of nothing. So photon with thermal potential in, thermal potential realised, and work done, thermal potential turned into work and mechanical heat, then re-emitted as a higher frequency photon than when it was absorbed by the co2 molecule,. Is that what they are saying joe ?…….this is an incoming photon so it will be shortwave wont it. Molecules of carbon dioxide (CO2) can absorb energy from infrared (IR) radiation. This animation shows a molecule of CO2 absorbing an incoming infrared photon (yellow arrows). The energy from the photon causes the CO2 molecule to vibrate. Shortly thereafter, the molecule gives up this extra energy by emitting another infrared photon. Once the extra energy has been removed by the emitted photon, the carbon dioxide stops vibrating. This ability to absorb and re-emit infrared energy is what makes CO2 an effective heat-trapping greenhouse gas. ps isnt the exchange instant, like a nano second,, is he setting up a lag, so creating extra energy. Things don’t absorb or emit electromagnetic radiation because that’s what Things do or because it is the nature of Things or due to “laws”. Things absorb or emit electromagnetic radiation in order to gain equilibrium with their environment. If a Thing has a lower “potential energy” ( I’m going to go with “potential energy” but I could also have used “charge” ) than it’s environment it will absorb electromagnetic radiation from it’s environment until it gains equilibrium and then it will no longer emit or absorb electromagnetic radiation. Things do not radiate to other Things, Things absorb or emit electromagnetic radiation to or from the environment within which they are embedded. I know this reads as a statement but I don’t really have a clue and I’m just thinking out loud. It seems to me that Climate “science” has drawn a big fat circle around “the greenhouse effect” and can only think about this in terms of “heat trapping greenhouse gases” which “have begun to warm Earth’s climate at a problematic rate”, none of which bears any relation to the actual Universe in which we are embedded. That was fine thinking out loud Damian, thank you. Ive realised since my post the writer means, theres work done and physical heat created in the co2 molecule, i’m confused because on an individual basis, i thought photon in, photon out instantaneously, high frequency in, low frequency out, all these process’s and interactions are very complicated to try and understand for me, and i easily mis-lead myself, i too just think out-loud, and wouldnt dream of making a ‘statement’ here, i do not possess the terminology to even try, everything is a question, even if it does not immediately read as such. I understand your teachings i really do, because anything i do not understand i google until i do, going near physics and thermo-dynamics made me shudder, i dont why, i just felt it wasnt my place. Anyway this i think i can clearly demonstrate in 4 words the fallacy of CO2 greenhouse effect. 2 in 2 out then work. 2 shortwave electrons in, 2 longwave electrons out,,,,,,then work from the 2 higher charge/frequency electrons begins, and mechanical heat starts, and all in a nano second,,,,,but theres order Joe, am i right ?. The longwave out is emitted at a lower frequency/charge than emitter is emitting at, i read its on a scale,,, could you explain this bit to me in laymans ?…..i understand it is emitted prior to the work beginning, the electrons of the longwave are still pre shortwave absorption frequency. Thats why they cannot return to the emitter, and add anything, because they are now lower frequency to the emitter plus shortwave electrons……..i think,,, as ever i am asking not stating. be lucky…………and if i have eventually got it correct, you are making a difference. have to agree with that. One of the best.